The Ada Zanditon Couture mission is for our creations to imbue the wearer with the energetic spirit of their inner warrior deity. Ada Zanditon works on many different kinds of Made to Order projects including projects with brands and stores - These are the Ladies of the Lake that Ada Zanditon created for Selfridges Christmas Window - Journey To The Stars - commissioned by Selfridges and featured in a wide range of press. 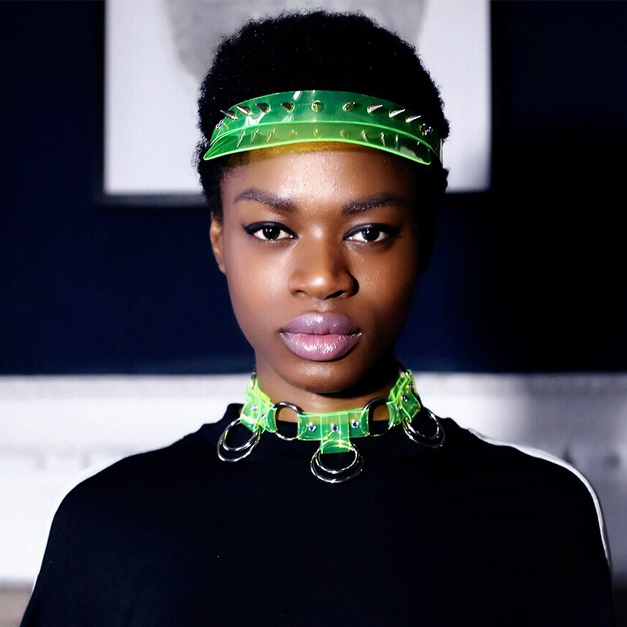 We create extraordinary couture for individuals to feel emboldened and be adorned with design that empowers their ability to express the spirit of who they truly are. We wish to celebrate both interior and exterior without conforming to expectations of gender, size, or any other factor. This is why we do not wholesale. Every person is physically and spiritually unique. Our made to measure service is more than just measurements! it Is about creating extraordinary designs for the unique INDIVIDUAL that is you! Everything we create in our atelier is made from the finest quality materials including leather, using her a wide variety of techniques including Ada's signature modular construction technique. Our specialty leatherwork: Combining traditional and modern methods of craftsmanship, the leather is foil blocked and laser cut so that each component of the completed design is both precise and exquisite. The pieces are then assembled entirely by hand and embellished with PRECIOSA crystals to produce elegant, yet powerful, designs that are truly innovative and unique. Ada Zanditon creates exquisite dresses and corsets made to measure and has worked on a wide range of costumes for musicians, drag, burlesque and many different performers - Contact us using the form ABOVE to explore together the incredible possibilities that we can create and bring to life! Accessories are available to purchase directly from our online shop. Please let us know, using the form on this page, if you would like to receive occasional updates when new collections are added to the shop. We have also launched our Etsy store for exclusive limited edition pieces - scroll down on any page on the site to the direct link to our Etsy shop. Rentals - You can also rent our pieces through Wear The Walk - Click here to visit Wear The Walk and find out how you can rent some of our most exclusive pieces through their incredible subscription service!